al. 2009). The development of fungi is also influenced by the rise in temperature and relative moisture content (Wei-hong et al. 2005; Highley 1999). 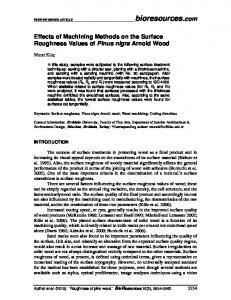 These factors also influence the process of degradation of stored wood chips. In the course of the first year of storage, a loss of energy value of biomass as high as 25% to 55% can be caused by increased relative moisture and degradation of stored chips (Thörnquist and Lundström 1982; Huber 2009). In the piles of chips the increase in exterior and interior temperature is of great importance. The maximum internal temperature in the centre of a pile is commonly reached after 10 to 30 days and can reach up 80 °C, regardless of the external temperature (Kuchtík 1988; Nurmi 1999). These values are influenced by the volume of the chip pile, the terrain upon which it is placed, the outside temperature, and the size of the chip fraction. After 100 to 150 days of storage, the temperature in the piles is much lower than 80 °C (Scholz et al. 2005). The aim of the present study was to analyse the increase in temperature, moisture, and the occurrence of fungi in experimental piles of wood chips produced from three wood species: European beech (Fagus sylvatica), common aspen (Populus tremula), and European spruce (Picea abies). 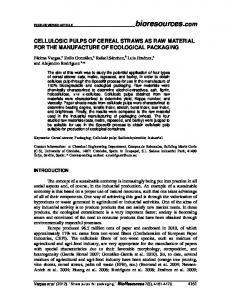 The result is a subsequent overview of the development in the fungi colonies harmful to humans. 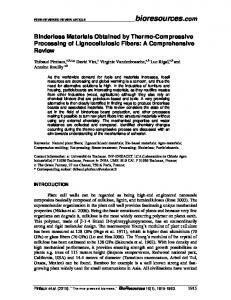 This study also examines the colonies that destructively influence the quality of wood chips with given development of temperature and moisture. The aim was to identify the fungi genera and species that form in chip piles during long-term storage and which pose a potential risk to human health. The results should provide information on the development of harmful phytopathogens that can negatively affect the health of workers during chip production, but mostly during manipulation and storage. samples were dried at 105 °C ± 2 °C to a constant weight. After weighting on laboratory scales (accurate to 0.01 g), the values of relative moisture content were calculated. The relative moisture content in individual extraction points was calculated as a percentage value of the weight of water contained in the samples. During the whole experiment, nine samples from each pile at the height levels of 0.5 m, 1.0 m, and 1.5 m, used for the analysis of fungi occurrence, were sampled. The first sample was taken after about 2 months of storing from all 3 points of measurement of each pile, and the last sample was taken 6th June 2012. The samples were stored in airtight sealed plastic bags until performing the analyses. Microbiological identification of fungi was performed by examination (ISO 21527-2) in the accredited laboratory of the Regional Public Health Authority in Poprad. The quantification of the fungi (Colony forming units per gram [cfu.g-1]) was performed in compliance with standard ISO 215272. 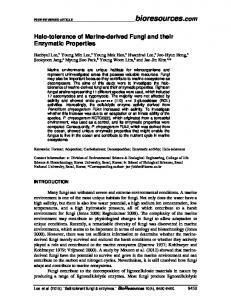 Different species of fungi were identified in compliance with scientific literature. 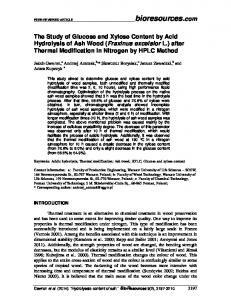 For qualitative determination of microscopic fungi, culturing on agar medium was used. 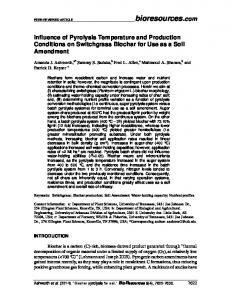 A homogenised sample of 20 g was added to 180 mL of sterile water containing 0.02% of polyoxyethylene (20) sorbitan monooleate (Tween 80). For more precise release of microorganisms from the material, the sample was shaken on a horizontal shaker for 30 min. 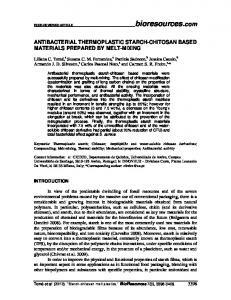 For the inoculation of wort agar, the dilutions of 10-1 to 10-4 in three repetitions were used. The wort agar was composed of 1,000 mL of beer wort, 20 g of agar, and 1,000 mL of distilled water. Agar plates were cultivated at the temperature 25 °C for 5 to 7 days. After obtaining pure microscopic cultures, their identification was performed based on morphological and cultural characteristics according to the guides listed in the literature (Hoog De et al. 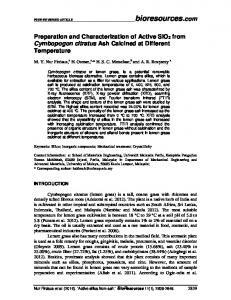 2000; Klich 2002; Samson et al. 2001). Weather Conditions Temperature and relative air humidity was recorded during the duration of storage every day in hourly intervals by a meteorological station located directly in the area of storage piles. The air temperature during the 176 days fluctuated in the range of -21.27 °C (3rd February 2012) to 32.87 °C (2nd July 2012). The relative air humidity ranged from 100% (multiple days) to 15.05 % (26th March 2012) and averaged 78.25 % (Fig. 2). RESULTS AND DISCUSSION Heat Development in Piles The temperature range inside the experimental piles is illustrated in Fig. 3. The median values of temperature ranged between 18.5 °C and 26.7 °C depending on the sampling height (0.5 m, 1.0 m, or 1.5 m). In the beech pile the median values of temperature ranged between 20.7 °C and 26.7 °C. In the aspen pile, temperatures ranged between 15.9 °C and 22.8 °C. During the experiment, the temperatures never rose above 50 °C in any of the piles. The lowest value of maximum temperature (33.1 °C) was recorded in the spruce pile at 0.5 m above the base of the pyramid (2nd May 2012). Minimal temperatures were recorded immediately after the beginning of the experiment, specifically in the first week after creating the storage piles. The range of temperatures including the median values is illustrated in Fig. 3. Moisture Content The relative moisture content in the experimental piles depended on the sampling height (Fig. 4). Relative moisture content of the spruce chips varied depending on the sampling height at 0.5 m and ranged from 25.13% to 55.45%. At 1.0 m above ground the relative moisture content ranged from 27.6% to 55.45%, and at 1.5 m of the spruce pile the moisture was between 30.1% and 55.45%. Overall average of relative moisture content in the spruce pile after 9 months of storage reached 41.9%. After 2 months of storage, the average relative moisture content of spruce chip was 50.2%. Compared to the same storage time of willow chip (Salix viminalis) it had approximately 2.8% lower value (Jirjis 2005). After 5 months of storage, the level of the average relative moisture content of spruce chip was 45.71%. 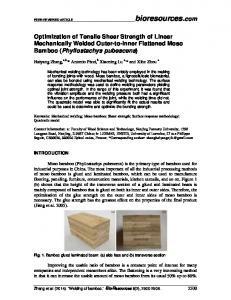 When compared to the same storage time of white birch (Betula papyrifera), it had approximately 8.5% higher value (Afzal et al. 2010). content after 9 months of storage was 32.5% (after 2 months 42.11%/ comparison with willow chip -10.89%; after 5 months 30.82%/ comparison with white birch chip -6.38%) (Jirjis 2005; Afzal et al. 2010). 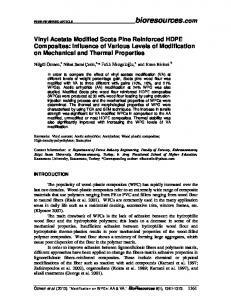 It is apparent from the recorded data that the highest moisture content was in the pile of chips made of spruce (Picea abies). Fungal Activity Overall 5 species and 8 genera were identified in the samples taken from the piles. Tables 1 to 3 show the occurrence of fungi in the samples taken from the different sampling heights of the piles. The dates of extractions were as follows 1st – 15th February 2012; 2nd – 29th February 2012; 3rd – 14th March 2012; 4th – 28th March 2012; 5th – 11th April 2012; 6th – 24th April 2012; 7th – 10th May 2012; 8th – 24th May 2012; 9th – 6th June 2012. The content of fungi is shown in cfu.g-1. Statistical analyses did not show any notable correlation between the occurrence of fungi and the height above ground or species of wood. It is known that the occurrence of fungi depends on relative moisture as well as the temperature inside the pile of chips (Jirjis 1995). The temperature and relative moisture content inside the pile reacts to changing outside environment with some delay. The data confirm that the highest occurrence of fungi was present when the temperature inside the pile was around 20 °C and the relative moisture content was above 45%. When the temperature inside the pile and the relative moisture content were low, no occurrence of fungi was documented (Fig. 5). Table 1. 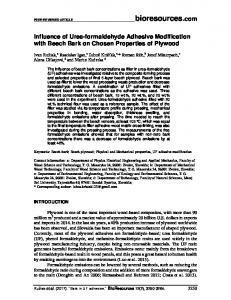 Occurrence of Fungi in Spruce Experimental Pile Picea abies 1.5 m Sample Nr./ species of fungi Mucor spinosus Penicillium sp. Scopulariopsis sp. Trichoderma koningii Aspergillus fumigatus Fusarium sp. Picea abies 1.0 m Aspergillus niger Mucor globosus Penicillium sp. Trichoderma koningii Acremonium sp. Fusarium sp. Picea abies 0.5 m Aspergillus niger Mucor globosus Penicillium sp. Trichoderma koningii Fusarium sp. Cladosporium sp. 2012). Mucor spinosus, a species of this infective fungus may cause zygomycosis (Mucormycosis) and ear infection. The spiny globular structure is a sporangium containing spores and is produced at the end of a fungal hypha (thread). On bursting, spores, from which another fungus can grow, are released. Zygomycosis, occurring after trauma, is a rare fungal infection of skin, lungs, blood vessels, or intestine (Samuels et al. 2006; Burge 1985). Some species produce mycotoxins that can negatively impact human health or eventually cause haemorrhagic syndrome (Al-Doory and Domson 1984). The production of dangerous toxins was also confirmed in the genus Penicillium sp., causing allergic reactions in some people (Fassati 1979). Trichoderma koningii has been identified as the cause of infections in immunosuppressed individuals (Samuels et al. 2006). From the obtained results, it is obvious that there is a potential health risk in the case of chip piles of all wood species studied in the experiment. 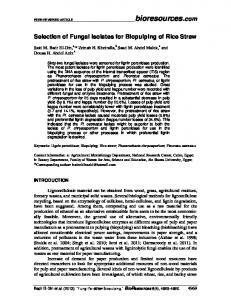 Aspergillus fumigatus, Aspergillus niger, Trichoderma koningii, and the genus Penicillium sp., were identified in all experiment piles and belong to the most common types of fungi. Very dangerous is Mucor spinosus, which was found in the most abundant amount in the aspen pile; however, spruce piles also recorded numerous colonies of this species. Very dangerous is Mucor spinosus, which was found in the most abundant amount in the aspen pile, however, spruce piles also recorded numerous colonies of this species. ACKNOWLEDGMENTS The research described in this paper was financed jointly by the Cultural and Educational Grant Agency of the Ministry of Education, Science, Research and Sport of the Slovak Republic (Project No. 016-TUZ-4/2012 - Multimedia Education Center for improvement possibilities of production higher quality raw wood assortments.) and Slovak Research and Development Agency (SRDA, Project No. 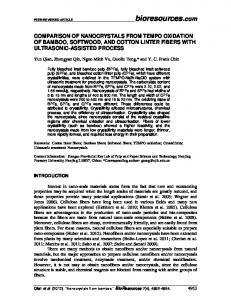 LPP-0420-09 Analysis of safety, health and hygiene risks in the processing of forest biomass for energy purposes). The authors thank RNDr. Vladimír Vacek for his valuable assistance in statistical experiments. Kuchtík, J. (1988). Komplexní Zpracování Lesní Biomasy II (Complex processing of forest biomass II.) Brno: VŠZ, 275 pp. Nurmi, J. (1999). 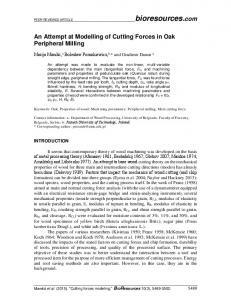 “The storage of logging residue for fuel,” Biomass and Bioenergy 17, pp. 41-47. Pratt, D. S., and May, J. J. (1984). “Feed-associated respiratory illness in farmers,” Arch Environ Health 39, pp. 43-48. 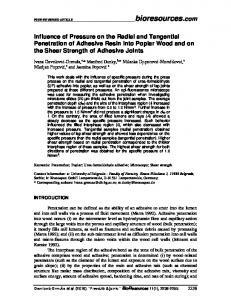 Samson, R. A., Houbraken, J., Summerbell, R. C., Flannigan, B., and Miller, J. D. (2001). “Common and important species of fungi and actinomycetes in indoor environments,” Microorganisms in Home and Indoor Work Environments, Flannigan, B., Samson, O. and Miller, J. D. (eds. 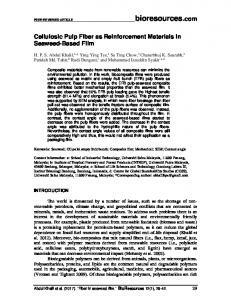 ), Taylor & Francis, New York, pp. 287-292. 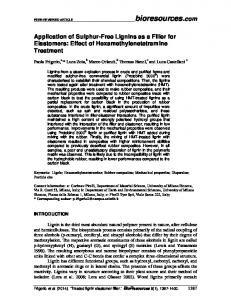 Samuels, G. J., Dodd, S., Lu, B., Petrini, O., Schroers, H., and Druzhinina, I. S. (2006). 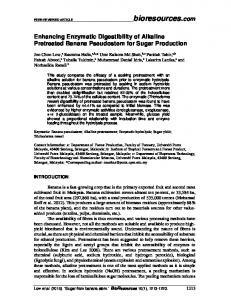 “The Trichoderma koningii morphological species,” Studies in Mycology 56, 67-133. San-Blas, G., and Calderone, R. A. (2008). Pathogenic Fungi: Insights in Molecular Biology. Caister Academic Press. ISBN 978-1-904455-32-5. Scholz, V., Idler, C., Daries, W., and Egert, J. (2005). “Schimmelpilzentwicklung und Verluste bei der Lagerung von Holzhackschnitzeln,” Holz als Roh- und Werkstoff 63, 449-455. Suchomel, J., Belanová, K., and Slančík, M. (2012). 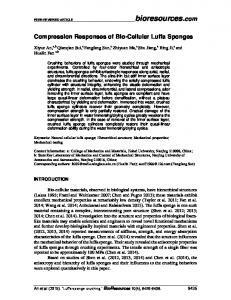 “Analysis of fungi occurrence in energy chips piles,” The Journal of Microbiology, Biotechnology and Food Sciences 1(3), 369-382. Suchomel, J., and Belanová, K. (2012). “Analýza vybraných rizík pri spracovaní lesnej biomasy na energetické účely” (“Analysis of selected risks to the processing of forest biomass for energy purposes”), Technical University in Zvolen, ISBN 978-80-2282400-2, 107 p. Suchomel, J., Vlčková, M., Belanová, K., and Lieskovský, M. (2009). “Riziká pri výrobe a skladovaní štiepok,” (“Risks in the production and storage of chips”), in: Multioperational production technologies in the extraction and processing of biomass for energy and industrial use, ISBN 978-80-228-2033-2: pp. 57-62. Thörnquist, T., and Lundström, H. (1982). 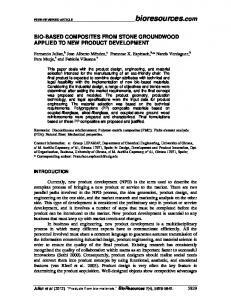 “Health hazards caused by fungi in stored wood chips,” Forest products Journal 32, 29-32. Thörnquist, T. (1983). “Lagring av sönderdelade hyggesrester,” Sveriges Lantbruksuniversitet, Upsala, Rap. No. 137, p. 78. 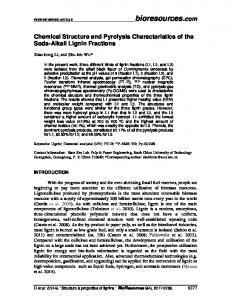 Wei-hong, W., Kent, S., Freitag, C., Leichti, R. J., and Morell, J. J. (2005). 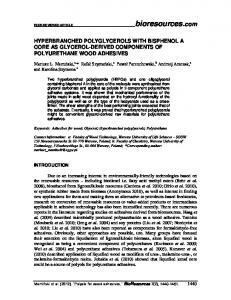 “Effect of moisture and fungal exposure on the mechanical properties of hem-fir plywood” Journal of Forestry Research 16(4), 299-300. 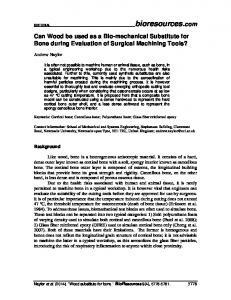 Article submitted: April 16, 2014; Peer review completed: May 22, 2014; Revised version received: May 29, 2014; Accepted: May 30, 2014; Published: June 6, 2014.